"I would honestly rather kill myself than compromise on my films," the singular filmmaker told IndieWire. An overstretched film producer shoots himself in the head when the bank refuses to extend him the credit he needs for his latest movie, leaving his widow to finish the project. A mediocre French DJ fritters away the best 20 years of his life before coming to grips with the fact that he’ll never be Daft Punk. A middle-aged professor doesn’t know what to do with herself after her husband leaves her for a younger woman; she’s not unhappy so much as burdened by the unbearable lightness of freedom. It would be an understatement to say that change does not come naturally to the characters of Mia Hansen-Løve, a 38-year-old auteur whose first six films have established her as one of modern cinema’s most compelling voices — these are people who define themselves by their partners and vocations, and would rather kamikaze their entire lives than dare to adjust course. And for Gabriel (Roman Kolinka), the protagonist of Hansen-Løve’s new film “Maya,” the stakes are truly a matter of life or death. A war reporter who escapes from an ISIS prison just before the film begins, Gabriel mopes around Paris as though he were still in captivity. He can’t stand the press conferences, the parade of well-wishers, or the reignited passions of an ex-girlfriend who seems to have forgotten why they ever broke up; he feels rootless without his job, and would happily trade his safety to restore his sense of purpose. 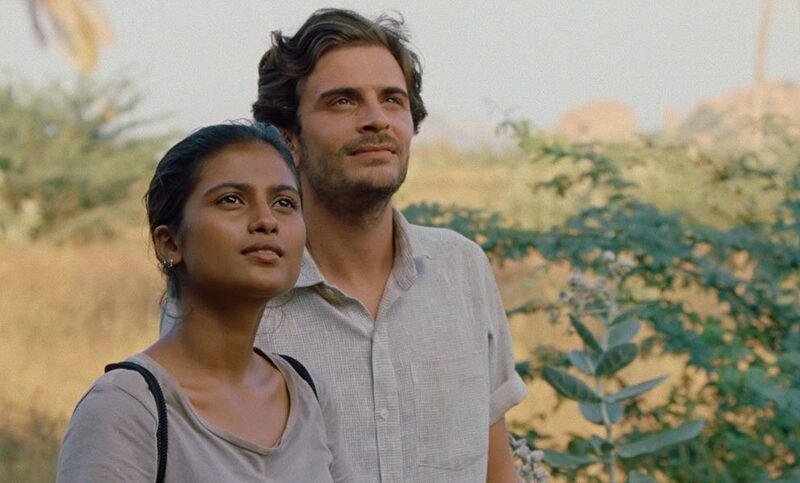 Too miserable to stay in France but too wounded to return to Syria, Gabriel flees to his childhood home of Goa, where he sparks a strange friendship with an unformed teenage girl named Maya (first-time actress Aarshi Banerjee). One of them is retreating from the world, and the other is preparing to fling herself into it, but Gabriel and Maya only manage to find each other because they’re both trapped in a mutual state of transition. If “Maya” looks like a departure for Hansen-Løve, this film — perhaps more clearly than any other — distills the beautiful sense of dislocation that ties her work together, and reflects the anxieties of the woman behind the camera. “Maya,” which is still looking for U.S. distribution after premiering at TIFF last fall, is screening this week as part of the Film Society of Lincoln Center’s annual Rendez-Vous with French Cinema series. Visiting New York in the middle of a six-month break in the production schedule for her next feature, Hansen-Løve sat down with IndieWire to talk about “Maya,” wrestle with her “addiction” to filmmaking, and shine some light on the long-simmering “Bergman Island,” a semi-autobiographical drama that stars Mia Wasikowska and Anders Danielsen Lie as a couple of filmmakers who retreat to Ingmar Bergman’s resting place of Fårö island and lose their grip on reality as they start to write their next scripts (Hansen-Løve has a daughter with “Personal Shopper” director Olivier Assayas). At this point, it’s probably fair to ask: Do you feel lost when you’re not making movies? You’re touching here on the most painful thing. It’s funny, but yes, totally — I am lost when I don’t film. Yes, I only feel alive when I am shooting. Well, I’m exaggerating, it’s getting a bit better after making six-and-a-half films. But when I decided to become a filmmaker it was because I felt I was more alive on a set, somehow. Which is the most mysterious thing ever for me. Like, why this and not something else? I guess it has to do with the intensity of shooting, and also with the chance that fiction brings a chance to turn something painful into something joyful. But, that was very clear to me from the start, and since then I’ve had this obsession of making another film and another film and never stopping until I’m dead, basically. And I think it’s some kind of dependence. You could say I’m addicted to filmmaking. It doesn’t mean I would shoot like whatever — that I would just shoot for the sake of a shoot — not at all. On the contrary, I consider like each of my films as a matter of life and death. Each of my films is equally important to me in terms of what I try to express and how sincere I’m trying to be at this moment of my life, but I think I have a real addiction. Maybe filming is what saves me from other addictions. Historically, some people have combined their addiction to filming with their addiction to other things. Ha, yes. Filming doesn’t necessarily save me, but I don’t know what my life would be without it. And I guess that sparks why all of my films, whether I want them to or not, deal with this — this difficulty of living an ordinary, everyday life when you have a need to go back to the thing that both gives you strength, but can also ultimately kill you. The main character in “Eden” essentially wastes 20 years because he’s trying to avoid an ordinary life. For all we know, Gabriel might get himself killed in Syria for the same reason. It’s like your films are cautionary tales that you keep ignoring! That’s the great thing about film: You get rid of melancholy by making a film about melancholy. You can deal with the darkest side of your life and enjoy it even when you can’t enjoy it in real life. That’s where the transformation is, and there is a transformation for me in the process of making a film. Maybe it’s just an illusion, but I need that. When I did “The Father of My Children,” I was writing it pretty shortly after the producer who inspired the film had died, and I realized years later that — for me — making the movie was a way to put a screen in between the reality of the experience and myself. Now, the film tends to replace my memories of what really happened. It’s like creating another memory is the thing that ultimately fills the void, but it also tends to make the real thing disappear. And when it’s over you don’t know what’s real and what was invented. And this confusion, I think, is what I like. That’s really what my next film “Bergman Island” is about. You’re consciously taking a painful part of your life and trying to change your memory of it? François Truffaut said that to him there are two kinds of films: The ones that show reality as it is and the ones that show reality as you would like it to be. I think all of my films are of that second kind. In “Maya,” for instance, I’m trying to show India as I see it. I don’t pretend it’s the reality, just that it’s the one I experienced when I went there many times, you know? But now that you realize how easily your memories and your movies can meld into one, is there a risk that you might start making movies in order to pave over your most painful memories? That’s it. That’s the whole point. I feel sometimes it’s almost even scary or like a kind of vertigo. It’s the reverse of psychoanalysis. You’re re-creating things, and while you’re doing that you’re changing them. Sometimes, I feel like I was trying to show things exactly as they were for me, except it’s a reinvention. Obviously it’s a fiction, it’s actors, you know, it’s recreated. It’s another way of dealing with time. Filmmaking is your therapy in some way? Yes, in a way. It makes me happy. But at the same time, I don’t consider myself to be especially sane, you know? So, you can say that the therapy doesn’t work, I guess. So much of your work is explicitly autobiographical, but — before you began shooting — you had said that “Maya” would be a departure from that approach. And it’s true that on a superficial level, the story is far removed from your experience. But now that the movie is finished, it seems to reflect who you are as much as anything else you’ve made. Yeah, pretty much. Although, autobiographical… the word doesn’t matter. I mean, none of my films actually shows my life as it is. So, none of them are really autobiographical. Until “Bergman Island,” I never depicted a director. “Goodbye, First Love” is the one that looks most autobiographical, but in the end I never became an architect. You could say it’s a transposition, but it’s more than that, I think. I’ve never tried to hide my own life in my films, but it’s really about reinvention. When I wrote “Maya,” it’s true that I thought it was really going to be completely different. I knew that it was intimate somehow, but I didn’t know how this story had found its path to me. It’s almost as if I was writing it in a dream. But when I started to actually direct it, I realize that Gabriel’s quest was also my quest. And suddenly I began to feel that the film is as autobiographical as any of the other ones I’ve made. Of course, I obviously don’t have anything in common with Gabriel. I’m a girl and he’s a man. But I could always identify with both femininity and masculinity — that doesn’t really matter to me. But when I was writing this movie, I couldn’t find myself in Paris. I needed to somehow escape and reinvent myself in India. So my reason for making this film was the reverse of what Gabriel is looking for. You were looking for reinvention, and Gabriel is looking to return to his truest self. And yet, you guys meet in the middle. In some respects “Maya” is new territory for you, but in other ways it feels indivisibly similar to your previous work. I realized that and it’s almost kind of scary. Of course I’ve always followed the same style and I was always very into looking for some kind of homogeneity in my work so it makes sense. But at one point I was editing these shots where Gabriel is in Paris and he looks depressed, and he goes back to his apartment alone and lies down on his couch with all his clothes on and takes a nap, and it was so exactly the same as a shot from “Father of My Children” where Grégoire Canvel is depressed in his office and lies down on the couch. Suddenly it frightened me that I could already be at this moment where I start copying myself. I’m scared about that.